Mark Zuckerberg Is Now Richer Than Google Rivals Larry Page And Sergey Brin – Will He Keep Roaring? Or Will His Bubble Burst? On Wednesday (before Facebook's earnings announcement), Mark Zuckerberg had a net worth $31.7 billion. As of this writing, that $1.6 billion increase officially puts Mark's net worth at $33.3 billion. That makes him the 18th richest person in the world. Google founders, 41 year old Larry Page and 40 year old Sergey Brin, are worth $33 billion and $32.9 billion, respectively. That makes Larry the 20th richest person in the world and Sergey the 21st. The three tech moguls are separated by Swedish billionaire Stefan Perrson (owner of department store H&M) whose $33.2 billion ranks him at #19. So what happens next? Will the Facebook juggernaut keep roaring? Or will everything come crashing down some day? Honestly, no one knows. I never thought Facebook would perform this well as a public company, yet they keep blowing away all expectations and assumptions. Facebook's stock has increased 183% in the last 12 months alone. When Facebook went public back in May 2012, it debuted at roughly $38 a share. Yesterday's close of $76 is exactly double the IPO debut. But let's not forget that Facebook struggled mightily during its first year as a public company. After debuting at $36, two months later the stock sunk to an all-time low of $18. At $18 a share, the company as a whole was worth $46 billion, which isn't that far from what Mark is worth on his own right now. Today the company as a whole is worth roughly $192 billion. That's still about half of Google's $403 billion market cap. Microsoft has a market cap of $366 billion. Apple, the most valuable company in the world right now, has a market cap of $586 billion as of this writing. 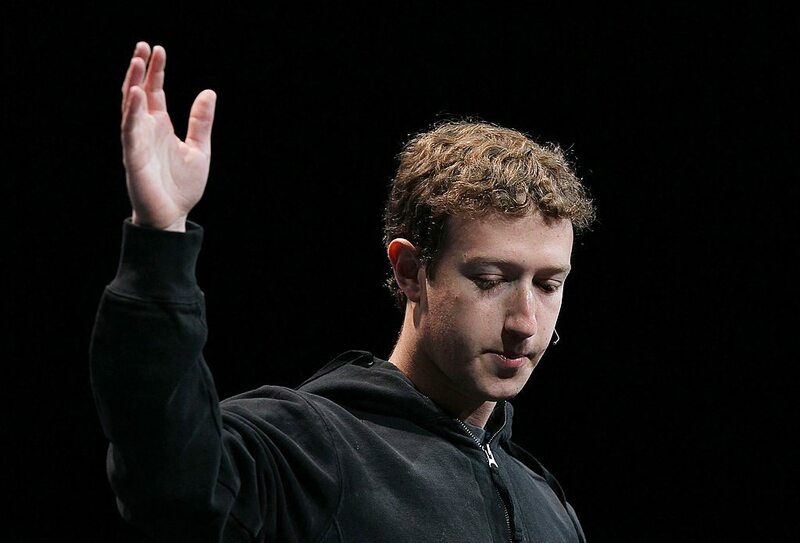 Mark's $33.3 billion net worth is derived because he owns 17% of Facebook's shares. He has also has the ability at any time to increase his stake to 22% through various option purchase opportunities. 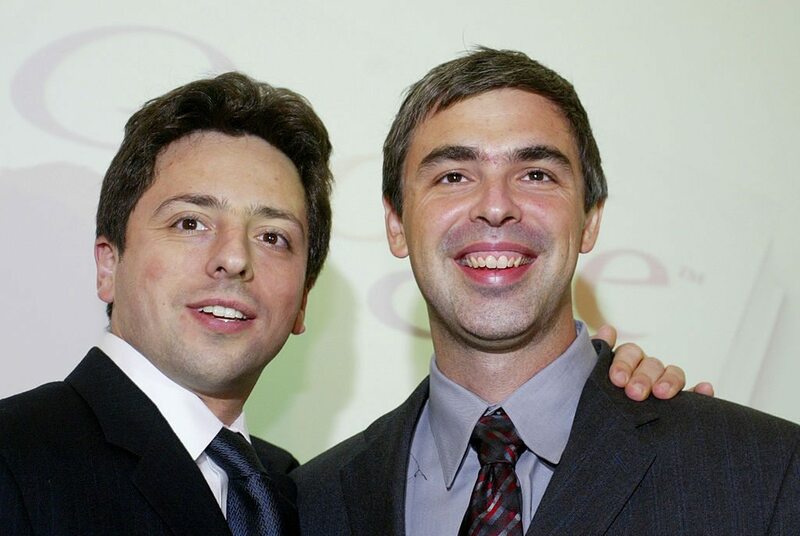 Both Sergey Brin and Larry Page each own roughly 7% of Google's shares. If Apple founder Steve Jobs was still alive today, he would be worth $15.5 billion dollars. But interestingly, out of that $15.5 billion, only a fraction of his net worth actually came from Apple stock. When Steve was fired from Apple in 1985, he sold every single share he owned out of spite. This happened to be one of the absolute worst times to sell Apple stock. When he came back to Apple years later, the Board rewarded him with 5.5 million shares of the company. After Apple's 7 for 1 stock split, those 38.5 million shares would be worth $3.7 billion today. The rest of Steve's $11.8 billion dollar net worth today would come from the 138 million shares of Disney that he was given when he sold Pixar to Mickey back in 2005 for $7.4 billion worth of stock.